2015 Chevrolet Corvette How our users rated the 2015 Chevrolet Corvette. Based on 341 user rankings. Driven or own this vehicle? Rank this vehicle to share your opinion. 2015 Volkswagen Eos How our users rated the 2015 Volkswagen Eos. 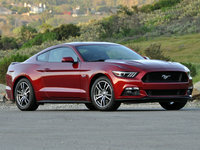 2015 Ford Mustang How our users rated the 2015 Ford Mustang. Based on 150 user rankings. Driven or own this vehicle? Rank this vehicle to share your opinion. 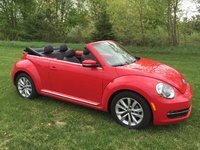 2015 Volkswagen Beetle How our users rated the 2015 Volkswagen Beetle. 2015 INFINITI Q60 How our users rated the 2015 INFINITI Q60. 2015 Chevrolet Camaro How our users rated the 2015 Chevrolet Camaro. Based on 449 user rankings. Driven or own this vehicle? Rank this vehicle to share your opinion. 2015 Lexus IS C How our users rated the 2015 Lexus IS C.
2015 MINI Roadster How our users rated the 2015 MINI Roadster. 2015 Mazda MX-5 Miata How our users rated the 2015 Mazda MX-5 Miata. 2015 Nissan 370Z How our users rated the 2015 Nissan 370Z. 2015 MINI Cooper How our users rated the 2015 MINI Cooper. 2015 FIAT 500 How our users rated the 2015 FIAT 500. 2015 smart fortwo How our users rated the 2015 smart fortwo. Based on 41 user rankings. Driven or own this vehicle? Rank this vehicle to share your opinion.